Thank you for your interest in Casino Night! 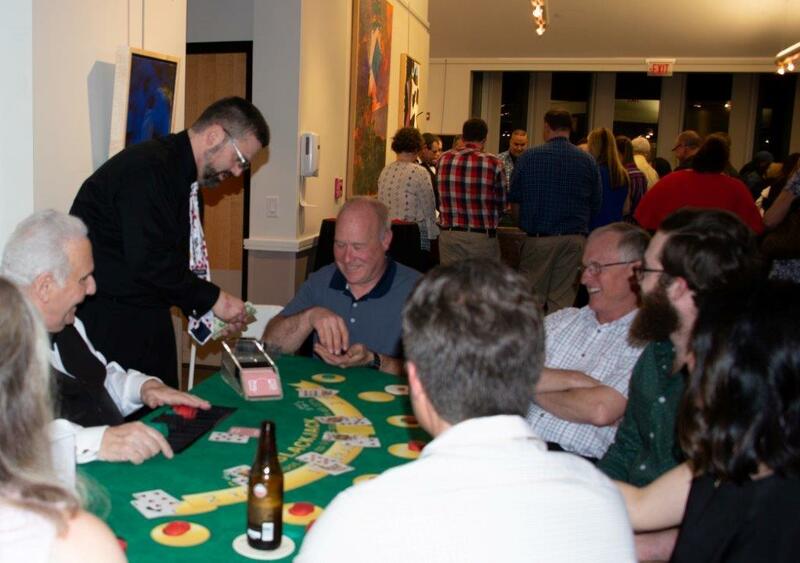 On behalf of the adult services team of staff and patients, we can't thank you enough for your support at our Casino Night. Our goal is to create meaningful life experiences each and every day for every one of our patients and offer unique opportunities that enhance their quality of life. Your generosity helped us exceed our fundraising goal and make all of this a reality. We are already looking forward to next year! The Adult Services program is comprised of two adult learning centers – one in Hillsborough and the other at Matheny’s main campus in Peapack. The programs are designed to assist our patients in attaining their highest level of independent functioning while maximizing engagement and satisfaction. This is accomplished by a wide range of disciplines offering a variety of classes, programs and community trips. Additionally, the adult patients are committed to giving back to their community by hosting disability awareness days, guest speaking at elementary schools, creating cards for kids in need, fundraising for local charities and our largest program, Brave Bags, which provides police departments with handmade bags by our patients filled with items that can be provided in a crisis situation. Please fill in the form below to make a donation or to sponsor the event. For more information and to view available sponsorships and the benefits you receive, please click here. Copyright © 2003-2015 Matheny Medical and Educational Center.